There are more than 100 different national and international nursing organizations. Many of them have chapters in Oregon, and (spoiler alert!) not ALL are located in Portland! There are many reasons to join a professional organization. Educational opportunities – Keep up-to-date on the latest changes in the nursing profession and earn CEs (see certification below). Networking – Use local and national conferences and educational events to meet colleague working in other organization, other states or even other countries! Certification – Demonstrate your commitment to excellence by pursuing certification in your nursing specialty. Targeted resources – Many organizations offer compiled resources (articles, journals, webinars, etc.) specific to your nursing specialty. Career assistance – Many associations offer career advice, job pages, and other resources if you are considering an employment change.  Now that you know why to join a professional organization, here’s a list of nursing groups with chapters/affiliates in Oregon.